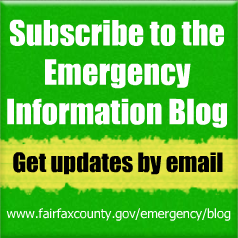 Posted 4:34 a.m; updated 11:28 a.m.
Fairfax County Government offices will be open on Tuesday, March 14, however employees have been granted unscheduled leave. Emergency service personnel should report as scheduled. Fairfax County Public Schools will be closed on Tuesday, March 14. School Age Child Care (SACC) centers will be closed. 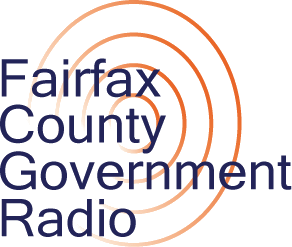 The Fairfax County General District Court, Circuit Court and Juvenile and Domestic Relations District Court are open on time. There will be no trash, recycling, yard waste or special pickup collection on Tuesday, March 14. Tuesday customers should leave their trash and recycling carts at the curb/street line for us to collect this week. If you receive trash/recycling collection service from a private trash collector please contact them directly. George Mason Regional, Reston Regional and Oakton Library are closed Tuesday, March 14. The roads are an icy mess yet the government offices are opening on time?! Extremely irresponsible Fairfax County! Agreed. All they say on the news is to stay off the roads but not everyone has leave to use so it’s go to work or not get paid. Not an easy choice for many. Transportation officials should stop asking people to stay off the roads if the county is open for business. Beyond irresponsible! The County does NOT care about the safety of the employees. They don’t care how far some employees have to drive to get to work and as someone else said, not everyone has the luxury of working from home or have the leave to take. Fairfax County is pathetic! You should probably include whether or not trainings are canceled. Since instructors have the right to take unscheuled leave i imagine trainings are canceled, but itbwould be nice to have it oart of the written announcement. Please confirm Juvenile Court proceedings are on time. I am concerned about getting my son in for advisement hearing. Am I reading this correct? Does anyone know? Yes. The courts are open today. How about general district court? Very irresponsible fairfax county, our street has yet to get plowed and the entire neighborhood is still snowed in, and I am sure it is the same for a lot more people. how do you expect people to show up to court on time or maybe that’s just it, you don’t want them showing up so you can find them guilty in absentia…. Arlington’s website says stay off the roads (sound familiar!) but they closed so employees could actually do that! The mixed messages make employees so angry but keep on with the Go Team Fairfax stuff….it makes things so much better (not). Yes, the ceremony will be held. Having FFX Co police and request that drivers stay off the roads but choosing to open government offices on time really presents a conflicting message to residents. Do we drive with the icy conditions, risking accidents or do we lose a day of pay or vacation because the schools are closed and we have to figure out child care logistics? Lots of local employers follow the operating status of the FFX Co government. It’s very frustrating to be put in this position. Thanks as always to Ed Long for his concern over the bottom line and NOT the welfare of his employees! When will Metro Access be up and running? Is public trash service that was scheduled for today rescheduled to be picked up tomorrow? So Let me get this! You announce School Closings to releif your selves but as parents who are suppose to work we have to take our kids very early in the morning risking everything in these bad road conditions ( Just because you didn’t bother to announcing work closing or even delays) so irresponsible by the executives in Fairfax.